Meet the cheeky toddler penguins that are really fussy eaters! Meet the cheeky toddler penguins who are seriously fussy eaters! They might look cute, but don't be fooled – these feathered fussy eaters are seriously naughty! 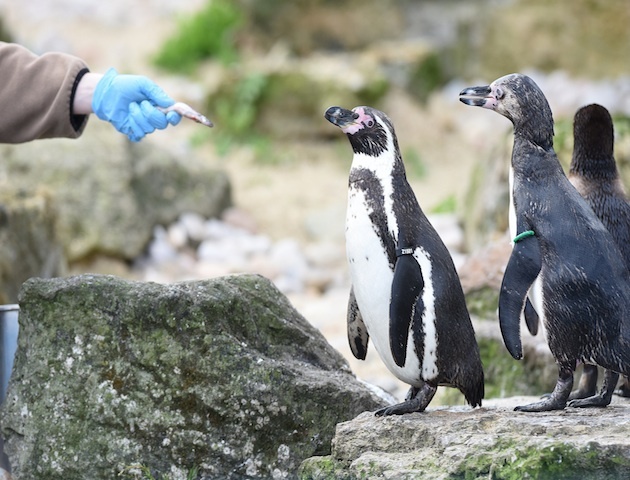 It looks like the resident Humboldt penguins at Chessington World of Adventures have p-p-p-picked up some fussy habits from visiting toddlers – and it’s making things difficult for the zoo keepers there. As any mum of a toddler knows, little ‘uns can be indecisive and temperamental when it comes to meal times, often changing what they like and don’t like to eat seemingly on a whim. Now the naughty, but oh-so-cute, little flappers at the theme park have started refusing their sprat for finer choices such as herring and mackerel. Not only that, they’ve refused to eat food unless it’s been served in a particular way – unless it’s spoon or hand-fed they won’t touch it. And just like a toddler demanding their dessert before their main course, some of the pickiest penguins refuse to eat anything at all if they know there’s capelin – a fish rich in vitamin B12 – also on the menu. 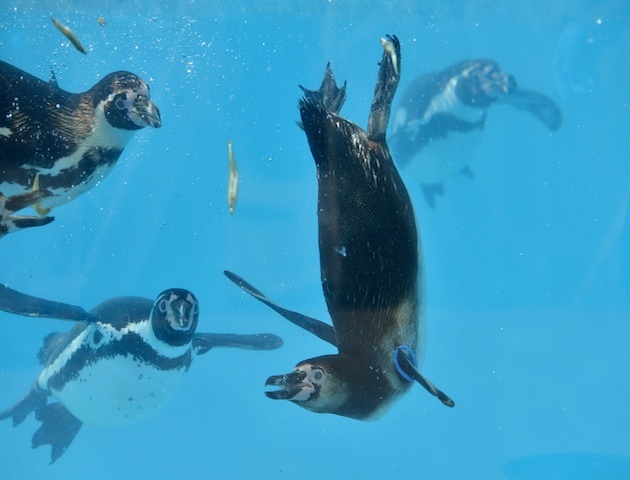 According to zoo keepers, capelin is a penguin’s favourite food – their equivalent of chocolate. Some of the younger birds have turned their beaks up at anything else, preferring to go hungry than have some sprat. When it comes to serving style, if they’re fed in the water and not on land, the penguins will play with their food, flinging and knocking it about instead of eating it. 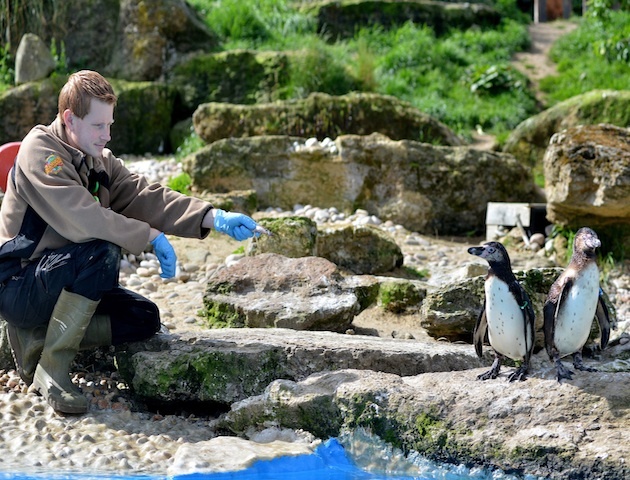 Nick Tulley, penguin keeper at Chessington World of Adventures Resort, says: ‘Mealtimes at Penguin Bay can be quite tricky, as we definitely have some diva penguins on our hands. ‘Out of the 23 penguins in our care, at least half of them will refuse to eat their sprat if there is anything tastier at the bottom of the bucket! ‘As with toddlers, we’ve learnt that we need to be a bit sneaky, making sure they eat their main before they get dessert. We also change it up a bit on a daily basis, offering them a mix of fish to include mackerel, which is very high in protein and oil-rich herring, which maintains the penguins’ fat reserves.